He has played three ODIs and a solitary T20I for India. A lot of Indian cricketers have been getting married recently. Only a few players from the Indian side are the bachelors now and even the talented cricketer Sanju Samson entered the new phase of life a few months ago. Another name is added to the list now as Himachal Pradesh cricketer Rishi Dhawan exchanged marriage vows with his longtime girlfriend Deepali Chauhan. Rishi has played for India in the ODIs when the team was desperately in search for a pace bowling all-rounder. He made his during India’s 2016 tour of Australia and also went on to play three 50-over matches for the Men in Blue. The cricketer, though couldn’t do much in those limited chances picking only a solitary wicket scoring 12 runs with the bat in two innings. He also played a solitary T20I during the Zimbabwe tour later in the same year and conceded 42 runs during his four-over spell. Rishi Dhawan was delighted to announce his marriage on social media and posted an adorable picture with his wife Deepali Chauhan after the marriage. Even his cricketer friend Mayank Dagar was present for the occasion as he wished the couple a very happy and successful married life. “Finally the day has come, got hitched with the most beautiful girl @deepz_chauhan05, lots nd lots of love to you, Rishi Dhawan captioned the wonderful picture. 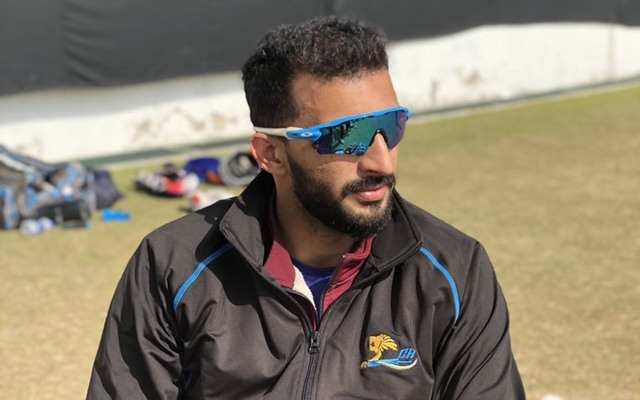 As far as his recently concluded Ranji Trophy season is concerned, Rishi Dhawan was one of the better performers for Himachal Pradesh. Though his team couldn’t qualify for the quarter-finals of the tournament. The team managed to win only three matches out of eight and had 22 points to its name in the Elite Group A and B. Himachal ended up at the tenth position while Dhawan picked 18 wickets in eight matches with the ball.